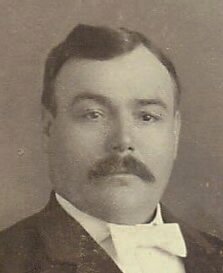 John Franklin Irey was admitted to the bar in 1899 and served Osborne County, Kansas for 18 years as probate or county judge. Notice Mrs. Irey's (Mary Jane Knoll) Dress Shop sign in the background. Clips form Osborne County Farmer, Page 1, 1-29-1900 and Page 5, 11-22-1900. Death and Funeral information found in Page 4 of Osborne County Farmer published in Osbourne City Kansas Thursday, Jul 30th , 1925. From the Osborne County Library website.